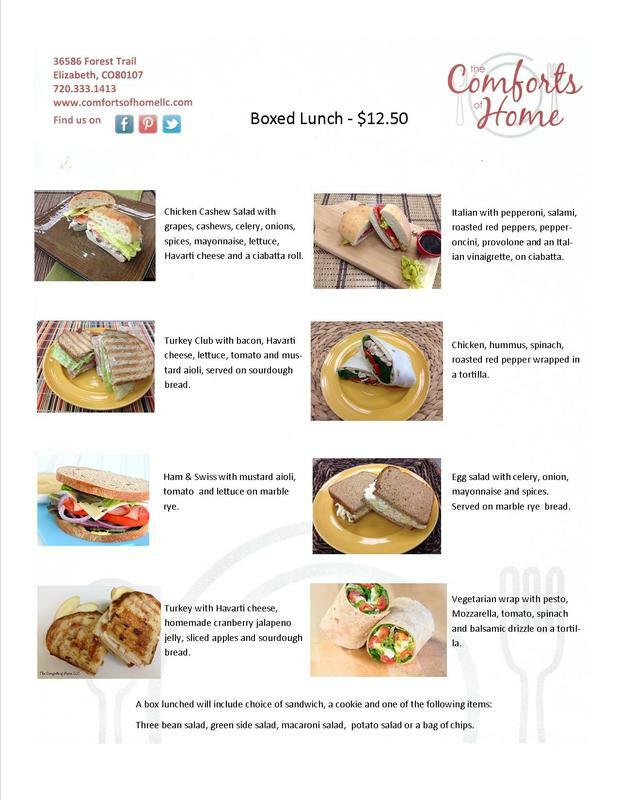 Choices of chicken or ground beef for fillings along with all the fixings for tacos. 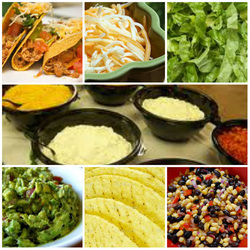 Soft and/or hard taco shells and a black bean and corn salad on the side. 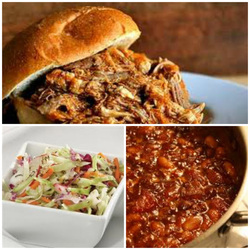 Barbecue pulled pork, coleslaw and baked beans. 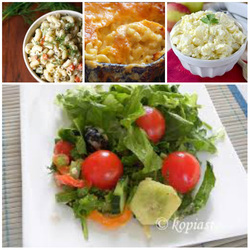 Macaroni salad, macaroni & cheese, potato salad and green lettuce salads are all good sides for office gatherings. Greek Salad with romaine lettuce, chicken, cucumbers, red onions, kalamata olives, tomatoes, feta cheese and an oregano spiced vinaigrette. Thai Salad with cabbage, chicken, cucumber, carrots, quinoa, scallions, cashews and a sesame ginger dressing. Wild Rice & Chicken Salad with spinach, craisins, pecans and a honey mustard dressing.